Amlais rich in Iron and Vitamins. Regular intake of Gooseberry juice helps in digestion, brings glow to the skin and hair,Amlajuice helps in improving the metabolism of the body.Amlajuice helps in increasing the rate of metabolism by improving protein synthesis of the body. The more protein is broken down, the more energy is utilized thereby increasing the rate of metabolism of the body. 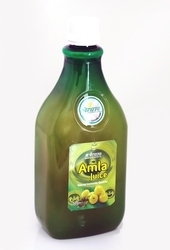 Amlajuice have the properties to flush down the unwanted toxins from the body. Regular intake ofamlajuice will keep up the digestion rate of the body and aid in weight loss by removing the substances that are a waste to the body . Amla juice is said to be a powerful rejuvenator, that is, it helps in improving the energy level of the body and re hydrate the body whenever necessary. Noni juice is derived from the fruit of the Morinda citrifolia tree indigenous to Southeast Asia, Australasia, and the Caribbean. Noni juice has been promoted as a cure for a number of human diseases. cough, diabetes, painful urination, stimulating menstrual flow. Sricure's Noni syrup is used in fever, liver disease, constipation, vaginal discharge during pregnancy, malarial fever, and nausea. It is also used for smallpox, enlarged spleen, swelling, asthma, arthritis and other bone and joint problems, cancer,cataracts, cold, depression, digestive problems, and gastric ulcers. Other uses include high blood pressure, infections, kidney disorders, migraine headache, premenstrual syndrome, stroke, and pain. 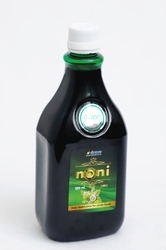 Overall Sricure's Noni juice is a complete family tonic for all the ailments. Aloe Vera is considered to be a miracle plant. Since, it contains phytochemicals and other nutrients which are beneficial for hair health and skin. 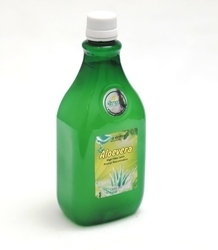 Aloe Vera extracts are also used in food and energy drinks.It is a very good habit to drink aloe vera juice on an empty stomach every morning, to get maximum benefits of this plant. Aloe-Vera juice can help repair your collagen and giving you healthy skin. Our skin replaces itself each 28 days or so and when we have nutritional building blocks from Aloe-Vera, our skin is able to use these nutrients each day to help fight aging. It can also help soothe minor skin irritations, scrapes, cuts and burns. 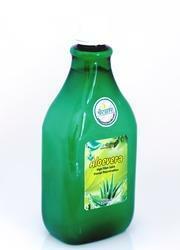 Aloe-Vera juice can also help your oral health and gums. It not only provides natural anti-microbial and anti-bacterial actions but it also contains several vitamins and minerals that promote cell healing and growth. Karela is well known Ayurvedic herb to regulate blood sugar level.Sricure's Karela juice is extracted with unique technology from Karela fruit and leaves rich in bovine insulin like gaurmrin and other medicinally important components. 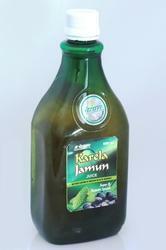 Karela juice is also enriched with Jamun seeds extract to make it more effective for diabetes. 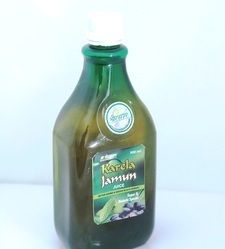 Taking Karela Jamun juice regularly is effective for diabetes, blood disorder, Piles, Stomach worms, lowering of blood cholesterol, Constipation, Antimicrobial acidity, Immunity enhancement. It helps in easier digestion, constipated stools , purifies blood thus helpful in rectifying skin diseases like acne,blemishes. Noni juice is derived from the fruit of the Morinda citrifoliatree indigenous to Southeast Asia, Australasia, and the Caribbean.